Varun Dhawan is one of the finest actors Bollywood has and has a huge fan following. 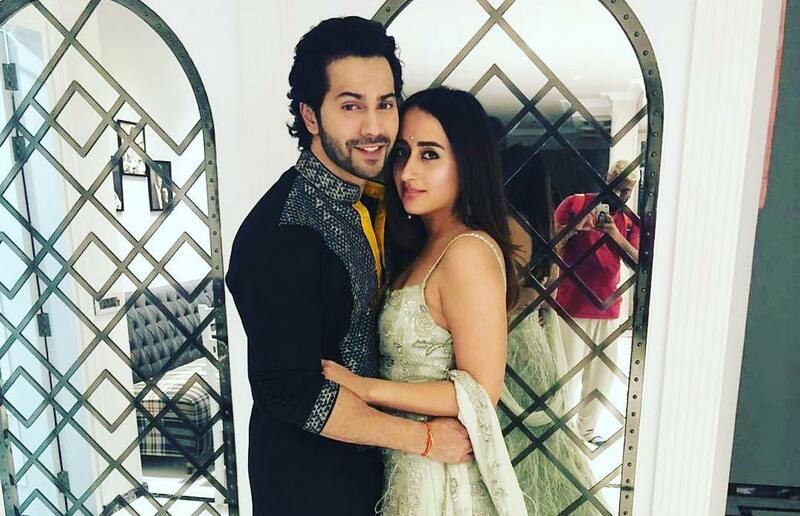 The actor is currently busy promoting his upcoming flick Kalank which also stars Alia Bhatt, Aditya Roy Kapur, Sonakshi Sinha and Sanjay Dutt. Talking about his personal life, everyone knows that the young star is dating his long time girlfriend Natasha Dalal. While he is often snapped with Natasha on casual outings, fans often wonder when the actor would get married. Varun recently made an appearance on the chat show of Arbaaz Khan and confessed his love for Natasha. The actor expressed that he does not like people making up false news on the social media. The Student Of The Year actor expressed, “Everyone knows I have a girlfriend. I have been in love for a very long time with Natasha. So sometimes when people use that and make up stuff then I don’t appreciate it. I feel you know, that is my thing and something that people should respect. But with social media you can’t tell people where to draw the line. We can never say that”. In the interview Varun clarified that he is not getting married to Natasha this year due to the fact that he is super packed with work and that he needs to find the right time. When asked about Natasha and his relation with her, Varun Dhawan said that Natasha knows his parents since ages and she has been attending functions with his parents before also but it was not photographed then.